This is NOT your grandpa's oatmeal! 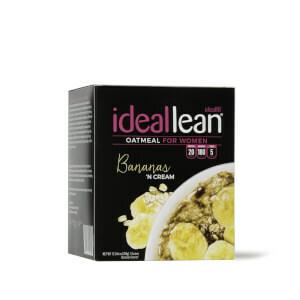 Have a better breakfast with Peaches 'N Cream IdealLean Oatmeal, packed with the lean protein, fiber, and complex carbs you need for long-lasting energy and hunger control. And good news: by featuring the natural whole-grain goodness of oats, along with real peaches and 20g of made-for-women IdealLean Protein, we've cut the carbs and sugars to about HALF that of most other brands! 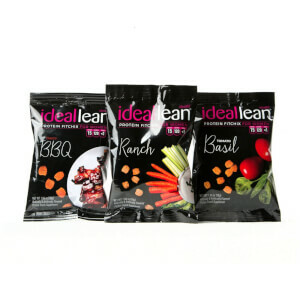 IdealLean Oatmeal is the fast, convenient & deliciously clean breakfast or anytime snack you need to fuel up for great results. Oats Instant Rolled Whole Grain (Baby), Non-Fat Dry Milk, Whey Protein Concentrate, Milk Protein Conc, Oat Fiber, Natural and Artifcial Flavors, Freeze Dried Peaches, Organic Evaporated Cane Juice, Sucralose. I normally hate oatmeal, but these packets are amazing! They taste great, and actually keep me feeling full until lunch. Very happy and will purchase again! I absolutely love the oatmeal (both flavors)! I add how water from my Nespresso coffeemaker (without a coffee capsule) for instant oatmeal. I don’t microwave it, as that makes any oatmeal gummy. I add extra water to make it thinner too. It’s awesome! 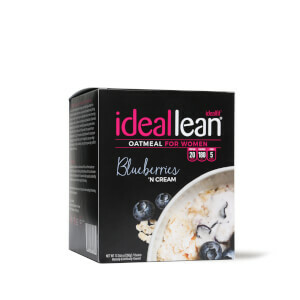 I love this and the blueberry oatmeal because after my morning workout, sometimes I don't feel like drinking my protein so it's nice to have an easy, convenient pack of some protein oatmeal. I've actually taken the blueberry and mixed it dry in a bowl of Greek yogurt, becomes pudding like. So good. Their oatmeal is the best! It is a lot creamier than regular let's say quaker oats. I had to practice making it a few times to my liking but once I did, LOVE IT! I add 4 tbsp of whipped cream to it. Practically eat it every morning. Almost taste like desert! Delicious and filling, highly recommend! Now when it comes to consistency the texture isn't like oatmeal at all but you shouldn't let this stop you from trying it! This oatmeal is very filling with out making you feel like your bloated and keeps you full as promised. 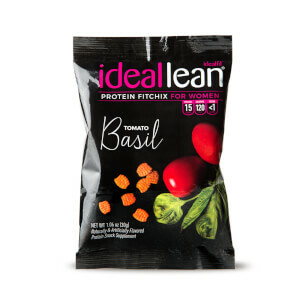 I've even eaten this after my morning workout in place of my normal protein shake and still felt satisfied till lunch! You can't go wrong with either of their flavors! !